The new Starbucks inside 24 North Hotel couldn't have opened at a better time. Not only is it the best weather of the entire year in Key West, but it's also the start of the holiday season, which means the Starbucks holiday beverages. Now we get to enjoy the warm sunshine and cool island breeze – and we get to enjoy it with an Eggnog Latte in one hand and a sugar cookie in the other, a Gingerbread Latte tomorrow, and maybe even a Peppermint Mocha at night. With a Starbucks downstairs, we can get one whenever we want – and so can you. Eggnog Latte – This holiday beverage is a classic – and one of our favorites. With eggnog, espresso and steamed milk , what's not to like about this rich latte that's distinctly Christmas? Peppermint Mocha – Another quintessential holiday drink, this latte mixes peppermint, chocolate, espresso and milk and adds the icing on the cake with whipped cream and chocolate shavings. It's also available in white mocha. Spiced Sweet Cream Cold Brew – Made from Starbucks' Nariño 70 cold brew, this iced coffee adds holiday spice and sweet cream for an especially refreshing beverage on a warm December day in Key West. Pumpkin Spice Latte – As if the Starbucks original needed an introduction, it's hard to go through the holidays without drinking at least one of these (or ten). Chestnut Praline Latte – For a little somethin' like candy, go for the Chestnut Praline. Sweet, sugared, and caramelized chestnuts with bold espresso and steamed milk give this latte a genuine Southern flavor. 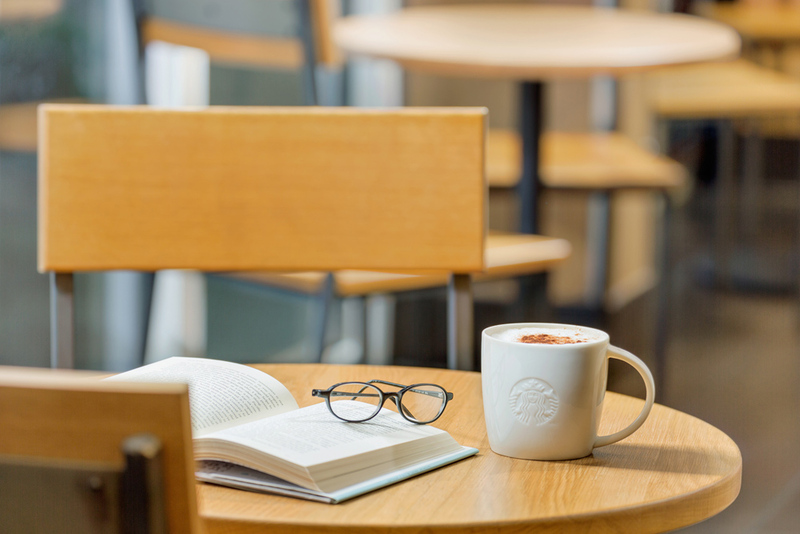 Gingerbread Latte – Another one of the iconic Starbucks seasonal drinks, it's not the holidays without at least one gingerbread latte in the month of December. This seasonal favorite mixes gingerbread spices with espresso, milk and nutmeg on top. Caramel Brûlée Latte – If you're looking to drink your dessert, order this latte. Drizzled with caramel brûlée syrup, little pieces of caramelized topping and whipped cream, it's dessert in a cup. And let's not forget the best coffee of the season comes in the form of the Starbucks Holiday Blend. That said, take your Starbucks out to the pool, curl up in our luxurious sheets with a good book, or have it to-go en route to sight-see in Old Town while on the 24 North Hotel shuttle. You can have your Eggnog Latte and drink it too.